∆ (pronounced alt-J) is a British alternative indie pop quartet, formed in 2007. They are currently enjoying chart success in Europe with their debut album An Awesome Wave. alt-J are one of the favourites to win the Mercury music prize in 2012. The album was released in the United States on September 18; they are currently touring the country. 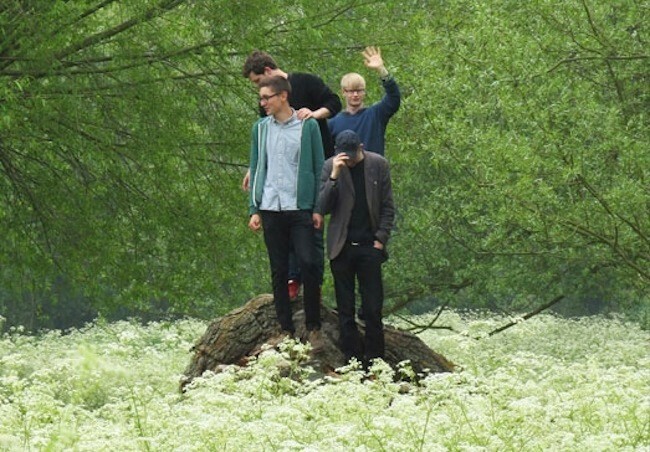 alt-J was formed when Gwil Sainsbury (guitarist/bassist), Joe Newman (guitar/vocals), Gus Unger-Hamilton (keyboards) and Thom Green (drums) met at Leeds University in 2007. After graduating, they moved to Cambridge, however they recorded their debut album in Brixton. Gus studied English Literature, the other three Fine Art. In their second year of studies, Joe showed Gwil a handful of his own songs inspired by his guitar-playing dad and hallucinogens, and the pair began recording in their dorm rooms with Gwil acting as producer on GarageBand. The band spent two years rehearsing before inking a deal with Infectious Records in 2011.